Opt for this mint blue saree that will help you stand out in the wedding cocktail party. The saree is featured in net fabric. 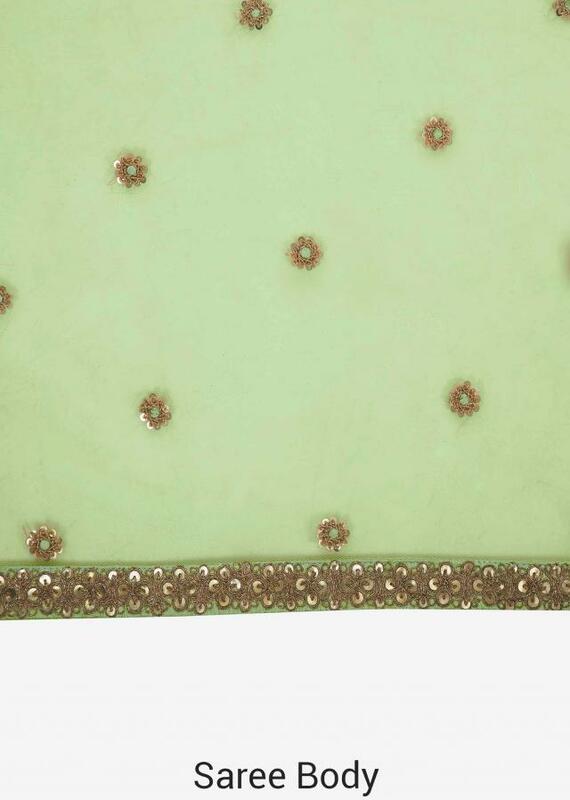 It is intricately design in sequin butti work all over. 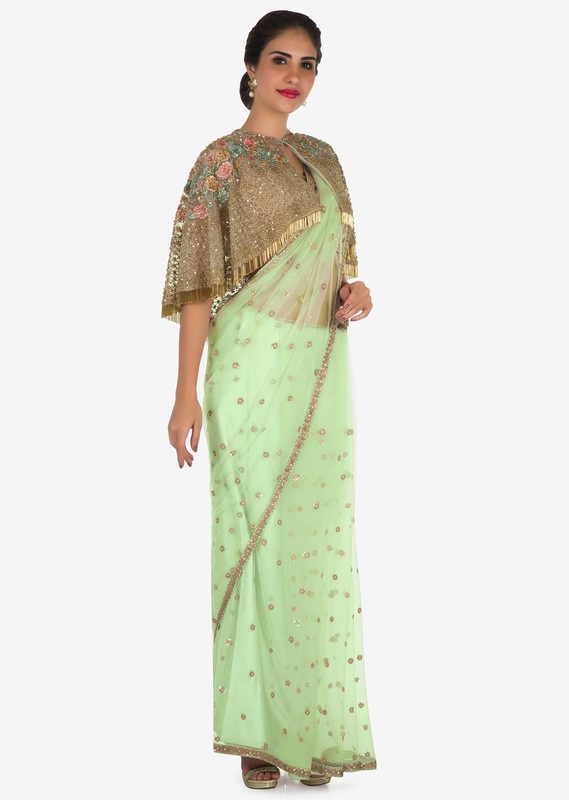 The saree is set together with a fancy cape that is here to stay with its unique sense of style encrusted in zari and resham floral motifs with attached tassels. 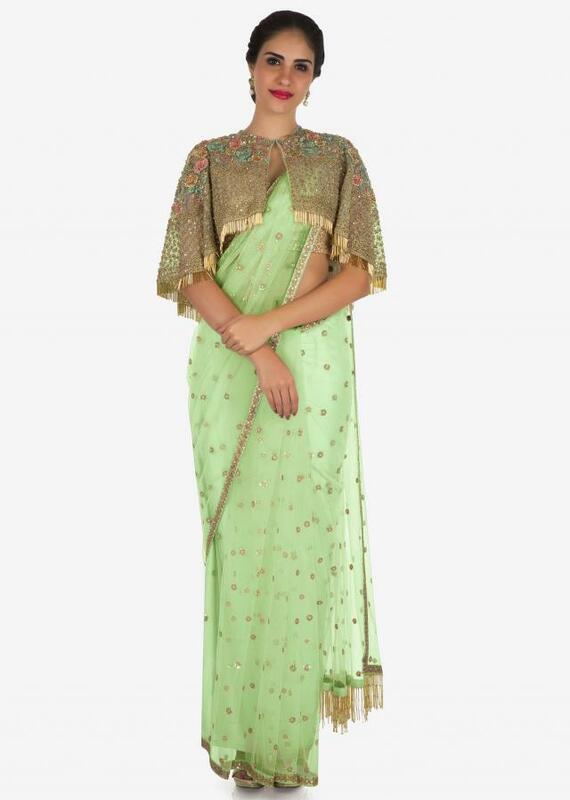 Matched with an unstitched blouse.